Toyota Auris Running Costs, MPG, Economy, Reliability, Safety | What Car? 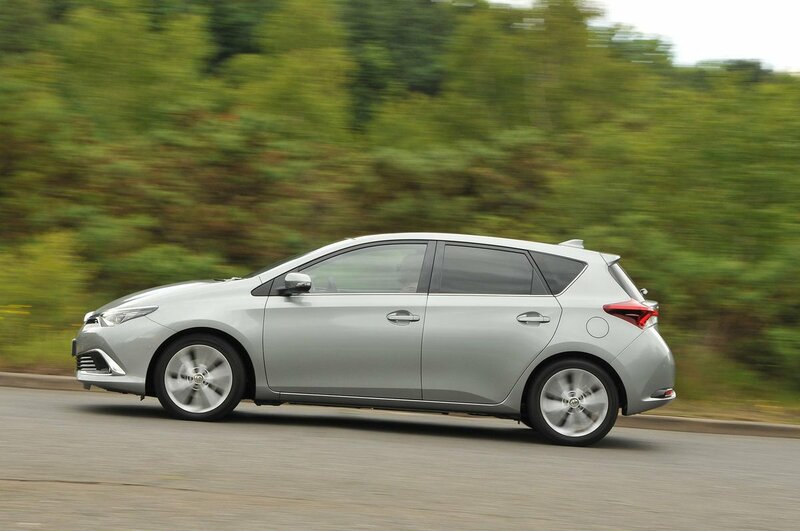 Go for the 1.3-litre petrol engine and entry-level Active trim and the Auris undercuts many of its rivals on price. However, the turbocharged 1.2-litre petrol model that we prefer isn’t that cheap when compared with similar-powered versions of the Seat Leon and Skoda Octavia. 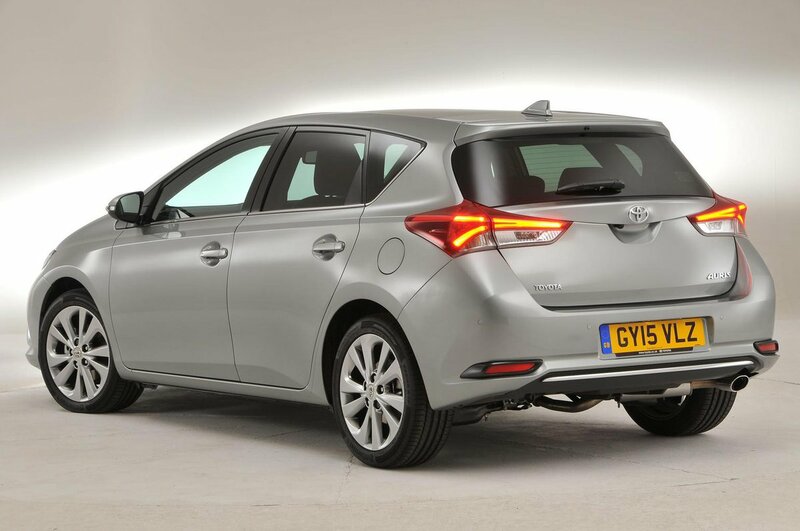 The Auris holds its value reasonably well, though, and if you check our Target Price figures you’ll see that decent discounts are available from dealers. Also, if you’re buying an Auris on finance, Toyota often has a range of offers such as 0% interest and a contribution to your deposit. The hybrid version’s low CO2 emissions mean that company car tax is cheap; this model is also exempt from road tax. However, before choosing the hybrid, it’s worth considering that some diesel-engined rivals can be nearly as tax efficient, while achieving better real-world fuel economy, especially if you regularly drive on the motorway. For example, certain versions of the Seat Leon and Skoda Octavia cost almost the same each month in company car tax, and are also exempt from road tax. Toyota offers a range of one-off or pay-monthly service plans for the Auris, which help you to budget for future bills. On a model-for-model basis, the Auris is similarly well equipped next to its rivals. 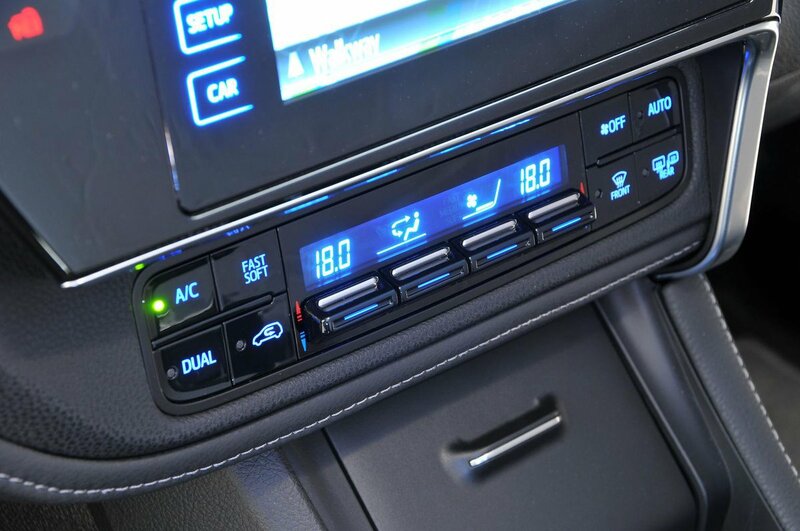 Even entry-level Active trim has climate control, Bluetooth, electric door mirrors and front windows, and audio controls on the steering wheel. Icon trim, which is the next grade up, offers the best balance of value and equipment. It adds a 7.0in touchscreen system, a rear-view camera, DAB radio, 16in alloy wheels, rear electric windows and a leather steering wheel. If you do a lot of travelling to places you don’t know or spend a lot of time on the motorway, you might want to consider upgrading to Business Edition trim, which for a sensible additional charge adds sat-nav, cruise control and heated front seats. Ignore the Design version because this costs the same as the Business Edition but exchanges sat-nav and heated front seats for 17in alloy wheels and privacy glass; in our opinion this isn’t a good trade and won’t help your car’s future resale value. Although the range-topping Excel model comes with nice features such as LED headlights, part-leather seats, dual-zone climate control, front and rear parking sensors, and automatic lights and wipers, it’s hard to justify the price hike. Auris buyers tend to be happy with their cars; owners of pre-facelifted models (those registered before mid-2015) gave them good marks for reliability in our latest customer satisfaction survey. As a brand, Toyota also featured among the top manufacturers in our most recent reliability study, so we’d expect the Auris to be dependable. It is backed up by a five-year/100,000-mile warranty, with one-year’s breakdown cover also included. Only the Kia Ceed in this class offers you more peace of mind – it gets a seven-year warranty – while most rivals are limited to just three years’ cover as standard. Toyota offers an extended warranty, with prices set by each dealer. On Hybrid models, you can also buy an annual battery warranty, which can by renewed until the car’s 10th anniversary. Every Auris has seven airbags, including one to protect the driver’s knees; this is something that rivals such as the Kia Ceed and Nissan Pulsar don’t have. All models also have stability control and hill-start assist as standard, with tyre pressure monitors fitted to all but entry-level Active versions. 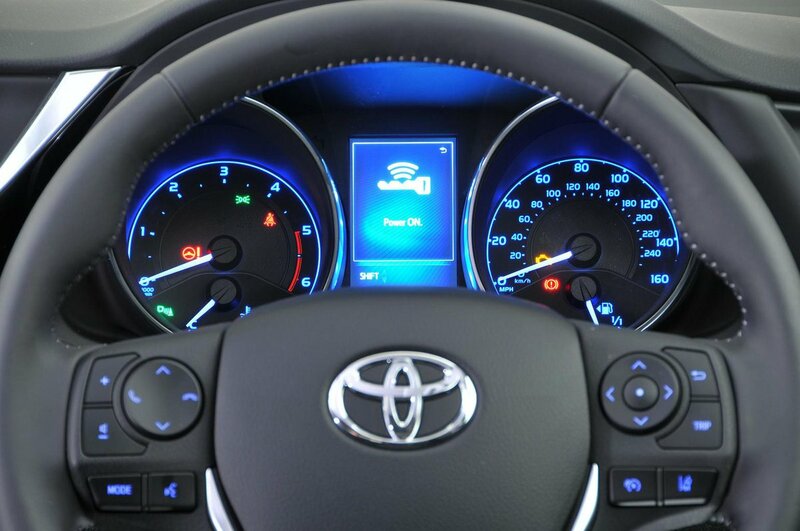 The optional Toyota Safety Sense package is well worth going for. It includes a collision-alert system with automatic emergency braking to help avoid or lessen the impact of an accident, should you fail to react in time. Also included are a lane departure-warning system, headlights that automatically switch between dipped and full beam, and road sign assist, which displays the current speed limit on the dashboard. 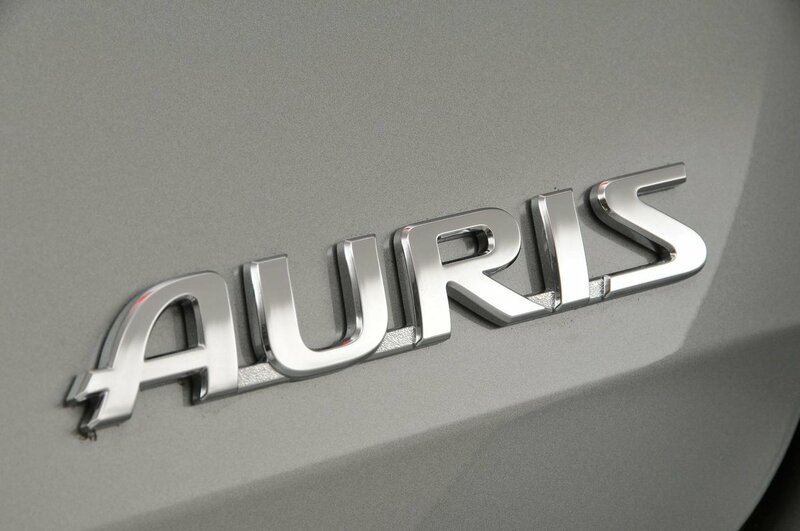 The Auris was awarded a maximum five-star rating in its Euro NCAP crash test in 2013. That said, several rivals got higher scores in certain areas; a Seat Leon, for example, performed better in the area of child occupant protection, with a score of 92% versus 84% for the Auris. An alarm, marked parts and deadlocks – which prevent a door from being opened, even if the window is smashed – help to protect the car from thieves. 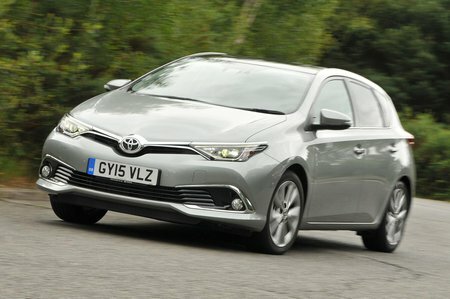 However, in tests conducted by security experts Thatcham, the Auris scored four out of five for resisting being stolen and three out of five for resisting being broken into; many rivals score five and four stars respectively in their tests.